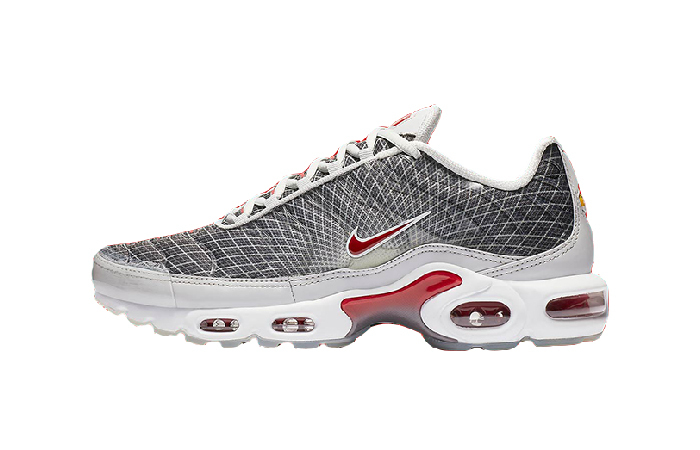 Nike Air Max Plus Grey Red will take you down right away! The entire upper body has vivid grid-print all over and flaunts the OG colour palette. A mystique steel grey paints the grid-graphics, and the jelly red accents pop up from the seemingly dull theme. You may think the design is going to be boring, but you’re wrong. The grid stripes make the upper layer come alive! 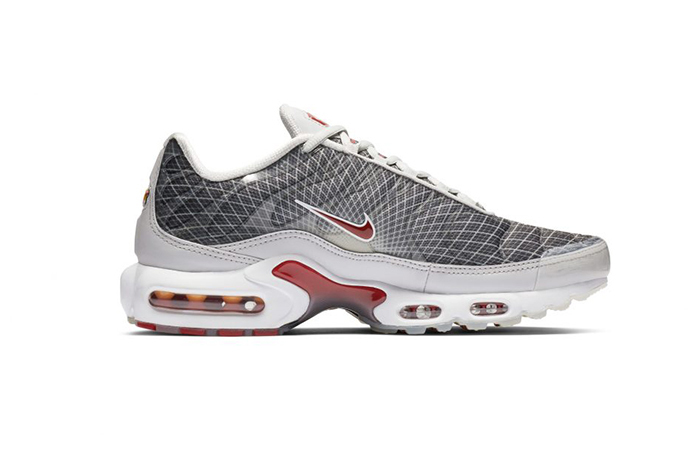 The classic synthetic rib-cage, on the other hand, stays below the radar with a translucent white tone. Dark grey hits the foot-top graphics, and lighter grey hits the mudguard. Let’s learn more about it. 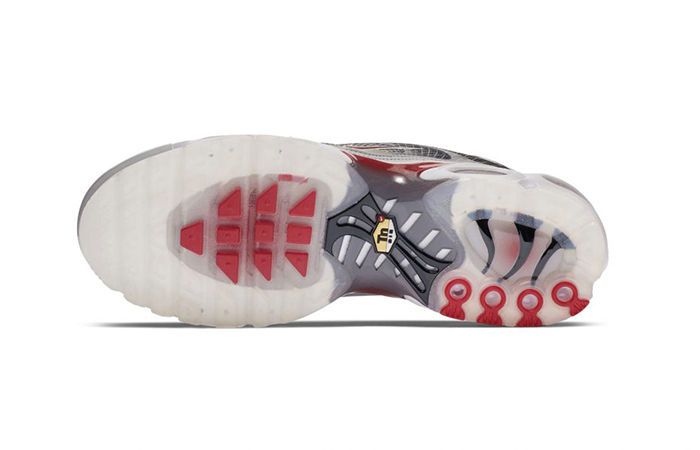 Scale the highest scoreboard with the timeless Air Max Plus series once again. The colour palette fits the Fall days well enough for you to ignore everything else! Follow @FastSoleUK for more. The flexible and chunky upper layer keeps your feet snug and safe all day long no matter what season it is. 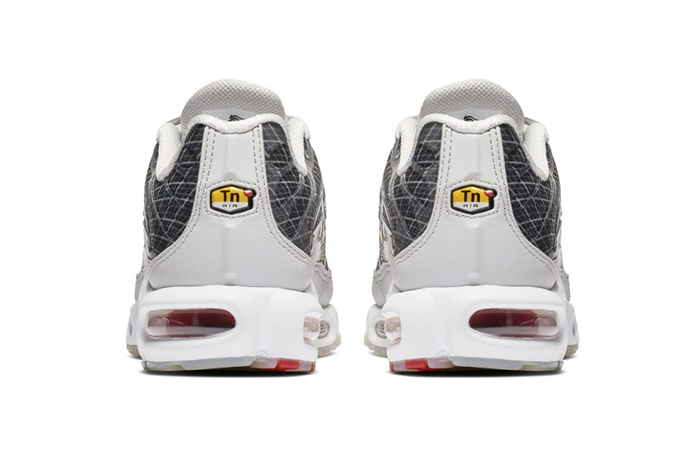 The wavy decoration and the plastic rib-cage ensure maximum safety while the white laces and inner offer comfort. 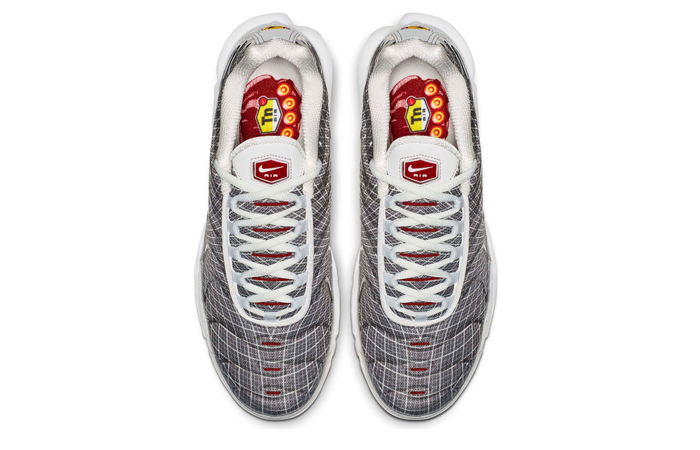 Light grey leather mudguard, white midsole, red Swoosh and midsole-panel, red Air-Sole and tongue branding finish the look. 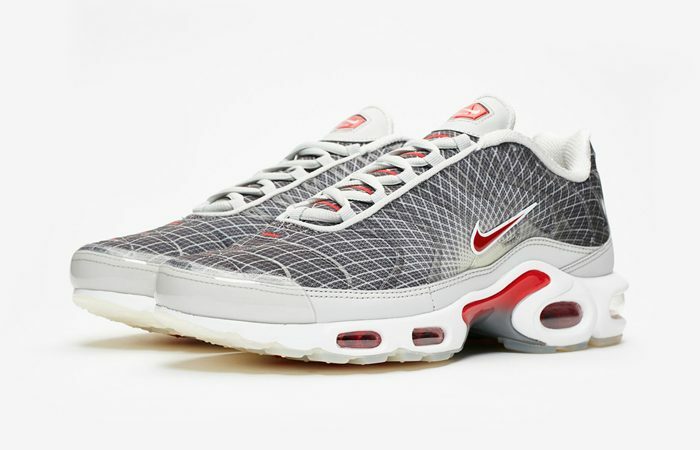 Nike Air Max Plus Grey Red releases 7th February via listed UK and European retailers.